Jet Airways' special fare offer is applicable on tickets booked between January 23, 2018 and January 29, 2018. Jet Airways' special fare tickets will be available on a first-come-first-served basis. Jet Airways is offering up to 20 per cent discount on its domestic flight tickets and up to 30 per cent discount on its international flight tickets on select routes. According to a press release issued by the airlines, Jet Airways' discount offer falls under special 'Republic Day Sale'. Jet Airways' special fare offer is applicable on tickets booked between January 23, 2018 and January 29, 2018. Jet Airways' international discounted tickets are valid for immediate travel. The travel period of Jet Airways' discount on domestic flight tickets start from February 1, 2018. 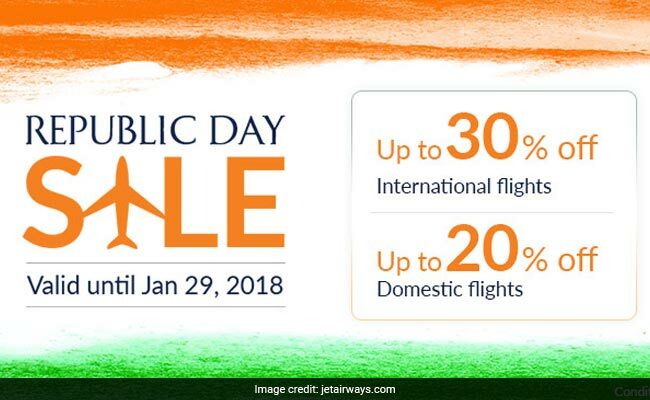 Jet Airways' Republic Day sale offer is valid for both economy as well as premiere travel on both domestic as well as international flights, said the press release. 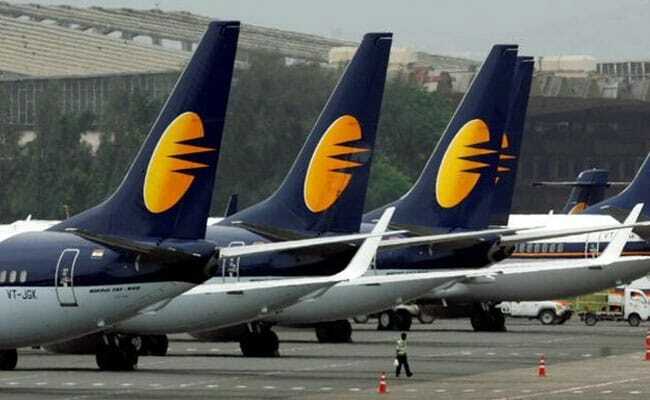 Under Jet Airways' discount offer on domestic flight tickets, passengers can get up to 10 per cent discount on economy fares and 20 per cent discount on premiere fares. Jet Airways' international discount offer is available on destinations like Abu Dhabi, London, Amsterdam, Paris, Toronto, among others. Under this offer, Jet Airways has an eight days advance purchase restriction for passengers travelling in economy class of airlines' domestic network. For passengers travelling in premiere class, Jet Airways has given a 3 day advance purchase restriction. Jet Airways' special fare tickets will be available on a first-come-first-served basis, and will be valid for travel on direct flights for both one-way and return journeys on Jet Airways' network for international sectors, said the press release. For domestic sectors, the special fares will be applicable only for one-way journeys.